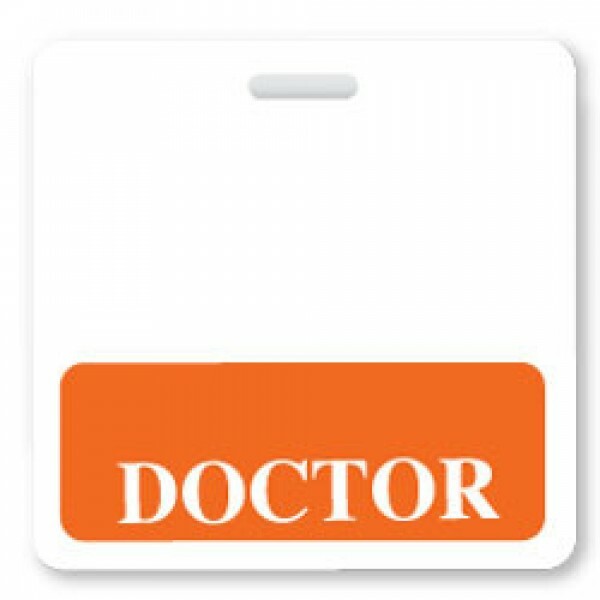 Your patients will be put at ease when they see your Doctor Badge Buddy with the orange band that is printed in large letters on both sides of the Badge Buddy. The Doctor Badge Buddy is easy to use. Just place it behind your existing hospital or clinic ID card and clip into your lanyard or badge reel. The badge is made of 10 mil Teslin paper, the strongest card material in the industry. The badge is made of 20 mil laminate of a polyester/polyethylene laminate. Get a Badge Buddy and put your confidence and professionalism on display.